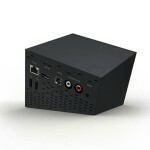 D-Link’s Boxee Box has now become available for pre-order in the US through Amazon and in Canada through BestBuy and Future Shop. Team Boxee says those who pre-order Boxee Box through Amazon in the US will get it before it goes on sale anywhere else. 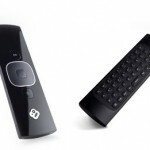 The Boxee Box will have more access to HD content than the PC application (supporting 1080p, H.264 Level 4.1, and 5.1 surround sound) and comes with with a stylish sliding remote. Service on the Boxee Box (Model #DSM-380) shows HMDI, Optical audio, stereo audio, ethernet and two USB ports. Boxee Box is currently available for $199 ($30 off the list price of $229). Boxee Box will be available in the US in November, 2010. D-Link says they will also release Boxee Box internationally. In November they ship the Boxee Box to Canada, Australia and in Europe – Albania, Austria, Belgium, Bosnia, Bulgaria, Czech Republic, Croatia, Denmark, Finland, France, Germany, Greece, Hungary, Italy, Macedonia, Montenegro, Netherlands, Norway, Poland, Portugal, Romania, Serbia, Slovenia, Slovakia, Sweden, Switzerland and the UK.